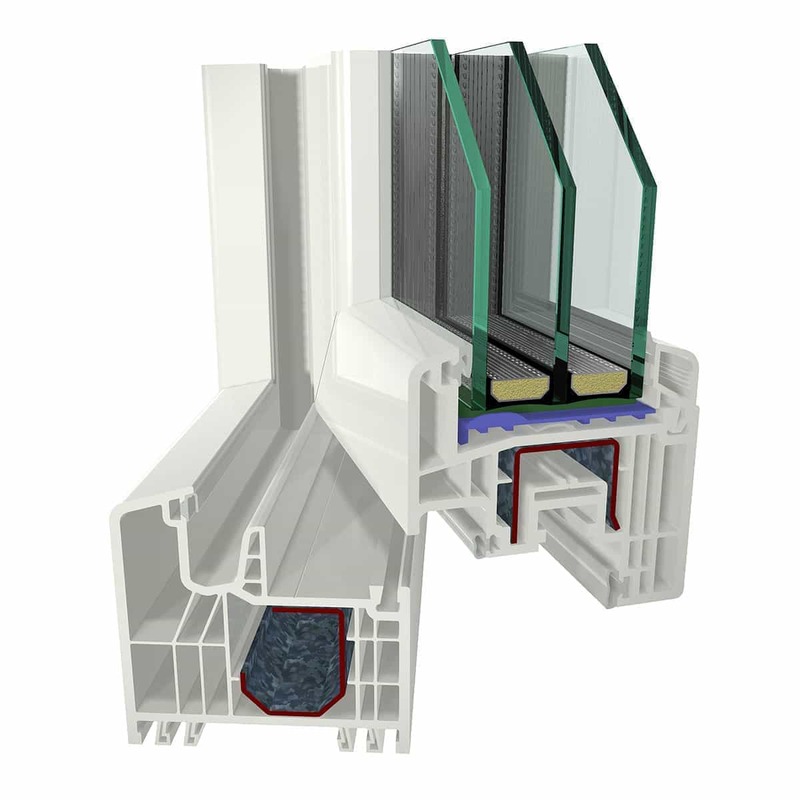 PVC (PCV) windows systems are a modern series of profiles that meet the functional requirements for the windows of the future. This type of PVC windows combine the latest technology with a high standard of living. 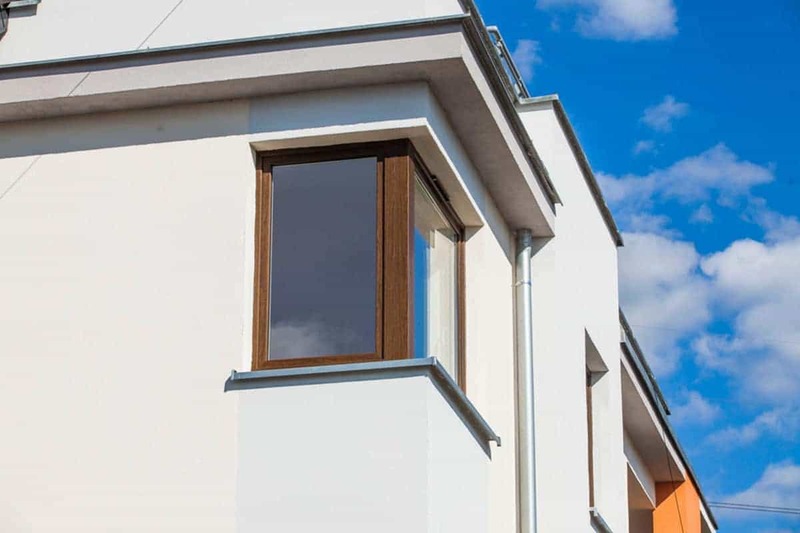 Diversity of area width in the window profiles and diversity of cabinetry deep allows you to select the ideal solution for the building and helps to keep even the most restrictive standards of thermal insulation. Original and adapted to current trends design combined with a large set of system solutions provide unlimited possibilities to create windows and to emphasize individual style. 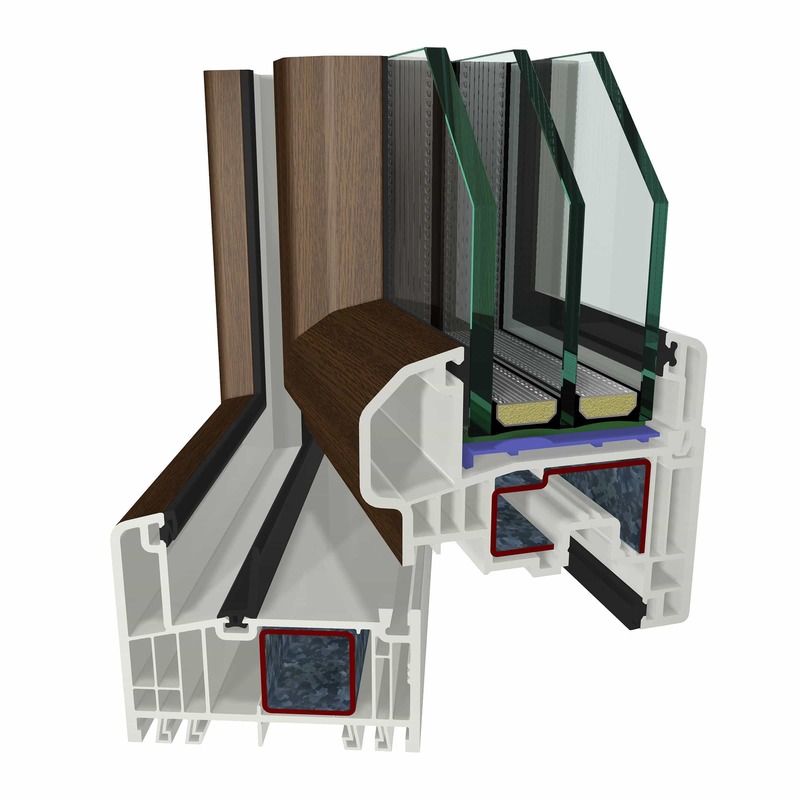 In our offer you will find profiles from Veka and Gealan. One of the best windows on the market using 6-chamber frame and leafs with exceptional thermal insulation and sound insulation. Profiles with a width of 83 mm consist of a number of innovative solutions used only in Gealan products. Certified steel with a thickness of at least 1.5 mm is used in the production process and provides the necessary stability and static during the whole window lifetime. Windows from Gold-Tec line meet the highest requirements of customers in terms of characteristics, ease of use, functionality and beauty of shapes. Windows with Siegenia fittings in the version with rounded and plain leaf. PVC window using the frame and the leaf of 74 mm width. The large depth of profiles allows, despite placing 6-five chambers, the use of large steel reinforcements. This ensures faultless static properties of windows for many years. 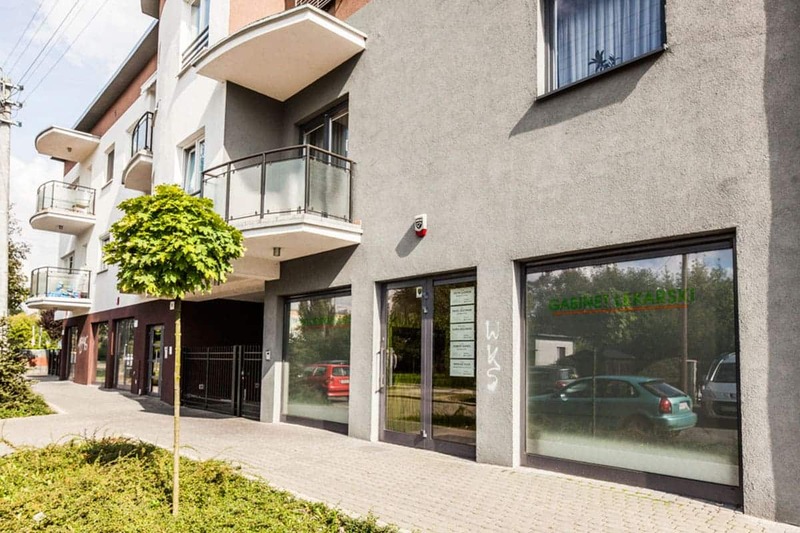 Windows based on S8000 profiles meet all requirements for a modern window technology: have a good thermal insulation properties, elegant appearance and the best value for money in comparison to high technical parameters. Production of PVC windows based on S7000 IQ syst meet all requirements that may confront them with users who appreciate the high security. The width of the frame and leaf is 82.5 mm. The special design of the window frame protects against burglars that could try to damage the fitting of window. The windows distinguish oneself by harmonious proportions. They are both energy efficient and at the same time equipped with anti burglar mechanism. The color range includes 22 veneers and 12 exterior colors acrylic coatings in the A+ class. 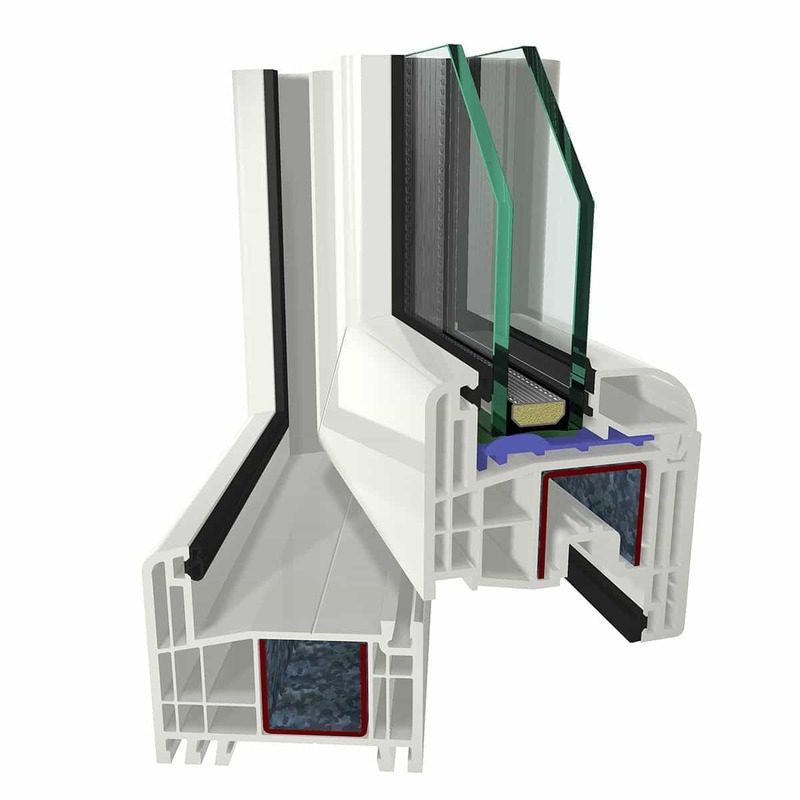 Fully 5-chamber system for PVC windows (5 chambers in the frame and 5 chambers in the profile leaf) with a depth of 70 mm, providing thermal protection at a very high level. Proven steel reinforcements preserve excellent static, long-term lifespan of the windows and anti burglar functions. The frame include a chamber designed for closed enhancement, while inside the leaf – double open folded enhancement (unique technique in window technology). The possibility of building leafs with a width of 1500 mm, without additional protection. 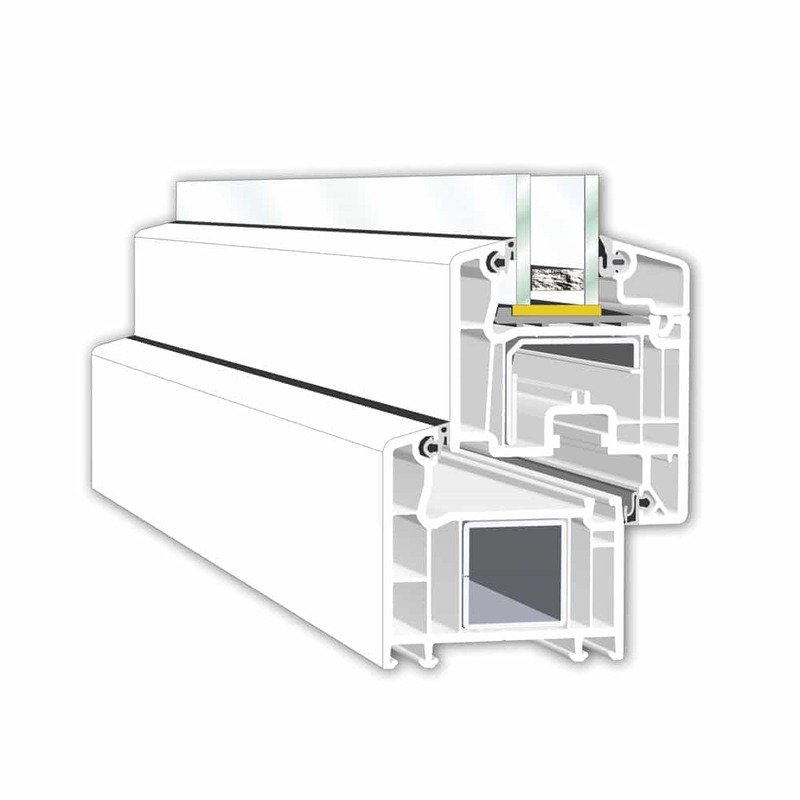 6-chamber window system with a depth of 90 mm (width of the frame) in the A class (EN 12608) provides thermal insulation at the highest possible level. Ideal for applications in passive houses and during the thermal renovations. Design of classical optics and balanced proportions refers to profiles Perfectline. 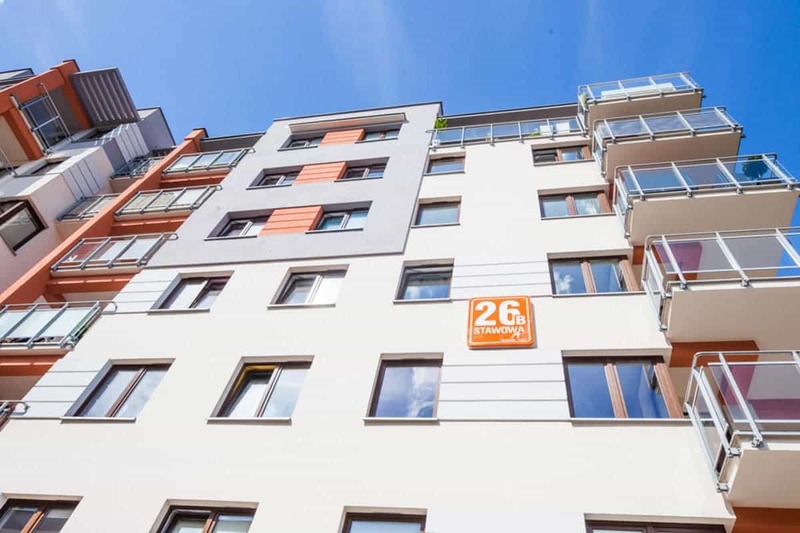 Due to the toned, neutral design and external contours it fits virtually to any facade. Ability to use innovative thermal pad integrated with one of the chambers of the profile frame further enhances very good thermal insulation. The low overall side height of the leaf profiles and the frame of only 118 mm provides greater glazing surface and excellent interior lighting. Modern line of PVC windows, quality and excellent technical parameters are the essentials of the window in the Green Tec line with 70 mm width of frames and leaf. 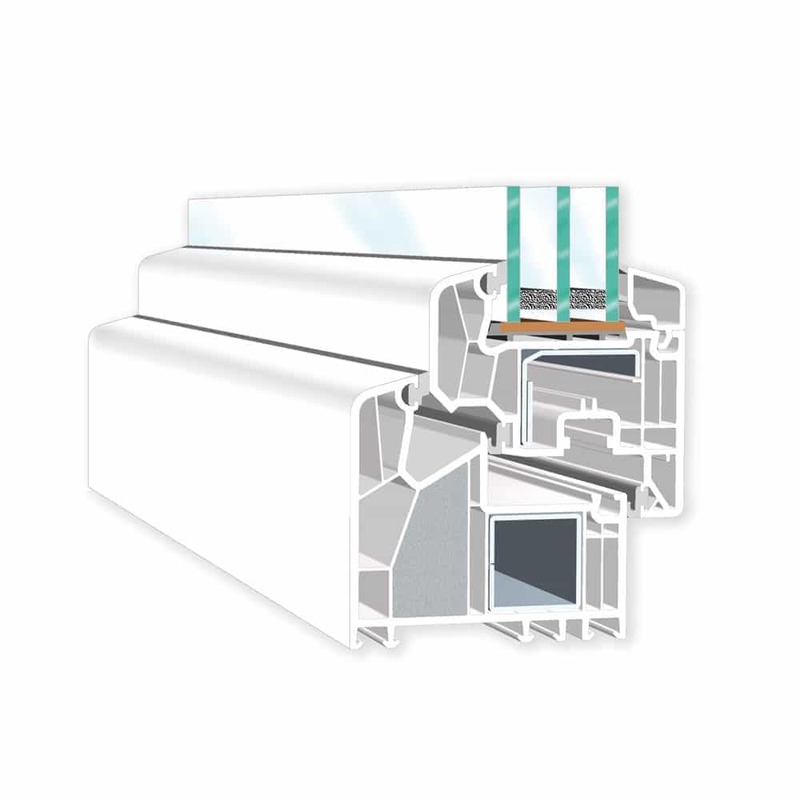 The thickness of the walls of profiles in class A provides very good protection against cold and noise, excellent mechanical resistance and a high static window. 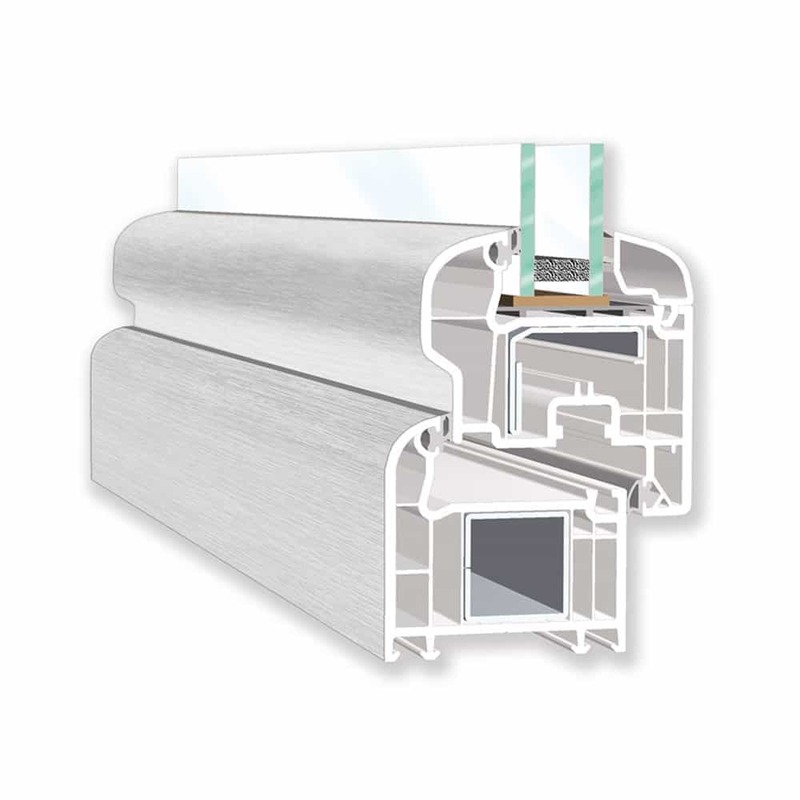 The technology of profiles production, as well as technical solutions ensure high durability of windows and energy efficiency at the highest level (from energy-efficient to a passive house). Proven for decades recommendable steel reinforcements from VEKA provide excellent static, long-term use of the windows and anti-burglar security.